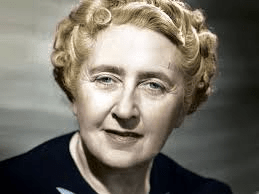 For those whose guilty pleasure resided in Agatha Christie’s detective novels featuring the finicky Belgian, Hercule Poirot, we can recommend some of the better offerings from her oeuvre. * She cheated with her plotting, but always ingeniously and within her own rules. For those who want something new, or have ploughed through Christie’s seventy odd books already, Ms. Hannah has produced her second Poirot mystery, a homage to the Christie style and her most famous character. The scene of the crime is Lady Athelinda Playford’s mansion in County Cork, where family, staff, lawyers and detectives are summoned for…what? A new Will, for one thing, always a harbinger of doom in those golden days before Inheritance legislation gave the courts the imprimatur to re-write our vindictive testamentary dispositions. The first five chapters, the set-up, pall somewhat, a rather self-conscious effort suggesting Christie on an off-day. But then the pages recounting the families’ chat in the drawing-room, after some embarrassing revelations and outbursts, start to crackle, in some ways more keenly than one would find in an original. Lady Athie dramatically reveals her new bequest at dinner and an unexpected victim is bludgeoned to death with – no, not a mashie niblick – some sort of African club. Or was he? Claudia, Lady Athie’s daughter, was seen wielding the club whilst the victim pleaded for mercy. Or did he? Our problem with this engaging book is that the writing is often clunky**, and too many padded pages plod to little effect^, so that the drama palls and impatience for revelation grows. And when revelation arrives, it doesn’t convince, psychologically, factually, or in a literary sense. 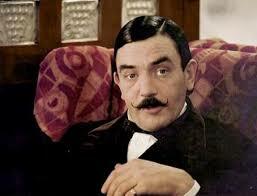 The neat resolution strikes false, and seems too elementary to justify the overly tortuous unwinding of the mystery. You’ll have to take it on trust that The Varnished Culture picked the culprit, on the basis of identifying the most annoying character rather than a process of deduction, which would be impossible here. 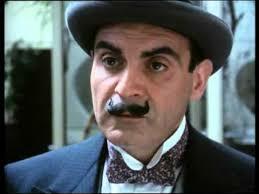 Moreover, Poirot is not only largely absent but daftly muted, an éminence grise suggesting that Ms. Hannah struggled under the scrutiny of ‘Agatha Christie Limited’ in giving us flesh and blood, only presenting a series of Poirot-ticks and tricks. Yet there is enough here to hope she keeps her shoulder to the wheel, tightens the florid prose, gets more comfortable with the great detective and perhaps re-reads some of Queen Agatha’s titles, ahead of a third book. I'll take 'Death on the Nile' or 'Death in the Clouds', thanks.